Supergreen Vegan Atrichoke Dip Vegans Eat What? 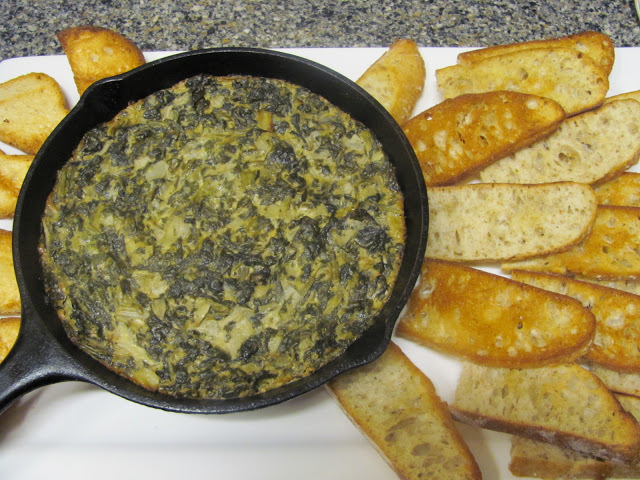 This incredible dip is full of healthy greens and OMG delicious! Serve with crostini, gluten free crackers, and/or sliced vegetables. nutritional yeast, white miso, vegan mayo, 1/3 cup water, fresh grated nutmeg, fresh cracked pepper and Himalayan salt. After blending, set the mixture aside. Cover with lid and cook until kale/hemp/supergreens are soft. Remove from heat. Add the drained and chopped artichoke hearts and the hemp cream mixture to the cooked greens and stir together. Place in 7 inch round iron skillet or an 8x8 baking dish. Bake at in a preheated 350 degree oven until browned- about 30 to 40 minutes. Alternatively, simmer together in saucepan until thickened. **The following can used in the supergreens blend: beet greens, turnip greens, mustard greens, spinach, kale, chard, asian greens, and even Cannabis fan leaves (where permitted by law). The fan leaves of the cannabis plant contain no THC but good levels of CBDs. Google CBDs now and check out how amazing this cannabanoid is. It fights cancer and so much more. The tender inner fan leaves of cannabis, hemp or marijuana, cultivated for medicine or seed is recommended. Check on the organic status of any plant you plan on eating.